In emphasising the extraordinary mind-set athletes are equipped with and the challenges this may cause for educators and legislators, Sapstead subscribes to an idea about drug use and elite sport that has been circulated in academia and journalism for decades. 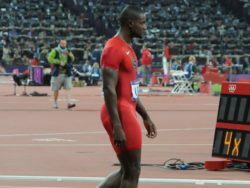 Not only have many people heard that athletes are willing to die for a medal, the idea is so powerful that – as evidenced by Sapstead’s use of it – it may influence legislation in the area. This exceptionalism of the athlete psyche, we are told, is one of the most important reasons why it is so difficult to combat doping. Let us put one thing straight: Athletes are willing to put their health at risk for sporting achievements. That proposition can be confirmed by a number of sports such as boxing, cycling, American football and downhill skiing, just to name a few. In that regard, sport is a place where people can risk their health and get intense experiences in return. The will to take risks, however, is not an expression of carelessness towards the body. Athletes depend on their body to perform, so they take care of it every day. The fact that athletes dope in order to be competitive does not counter this. It is worth remembering that most drugs used for performance enhancement in sport are medicines invented to help sick people get healthy. Not the opposite. Few athletes who make a living from their sport would consume substances with no considerations at all. They might have a careless attitude to diet supplements, vitamins and maybe also painkillers (Roderick, Waddington, & Parker, 2000), but when it comes to more potent drugs or actual doping substances or methods, they will reflect on the consequences of what they are doing. 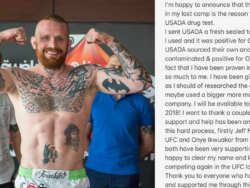 So, one cannot extrapolate from the fact that athletes take risks to a proposition saying that they are willing to take years off of their life swallowing a lethal substance just to win, set a record, or have a chance at a professional contract. They are not willing to die for a medal, as it is often claimed. How then, did this become accepted wisdom? ‘Nor did they [the authors of the report] refer to Mirkin’s study of over a hundred competitive runners, more than half of whom indicated that they would take a “magic pill” that guaranteed them an Olympic gold medal, even if it would kill them within a year’. (Waddington, 2005, p. 482; Waddington & Smith, 2009, p. 111). He thereafter states that: ‘To my amazement, more than half of the athletes responding stated that they would take my magic pill’ (Mirkin & Hoffman, 1978, p. 84). That is all! No further references or other details. Mirkin indicates that not all of the ‘more than hundred top runners’ responded to the question. But how many actually did respond remains unknown. ‘In a survey conducted by Dr. Gabe Mirkin, over a hundred top American athletes were asked if they were given the option of taking a drug which would make them an Olympic champion but which could kill them within a year, would they take it? Almost 55 per cent of the sample said they would take the drug (Donohoe & Johnson, 1986, p. 125 emphasis in original)’. Four things are worth pointing out. First, in this account of the survey it is no longer top runners, but ‘American top athletes’ in general who took the survey. Second, now the drug the athletes were asked to consider was not described as something that would kill them, but merely as something that could kill them. Third, there is an apparent clarification in that it was almost ‘55 per cent of the sample’ who answered in the affirmative. And finally, it is surprising to learn that Donohoe and Johnson does not reference Mirkin, Todd nor Goldman as their source of the information, but a completely unspecified ‘Northern Ireland Institute of Coaching article’ (Donohoe & Johnson, 1986, p. 175). When looking through texts forwarding the Mirkin study’s result, it is usually stated that around half of athletes are willing to exchange their life for a medal. 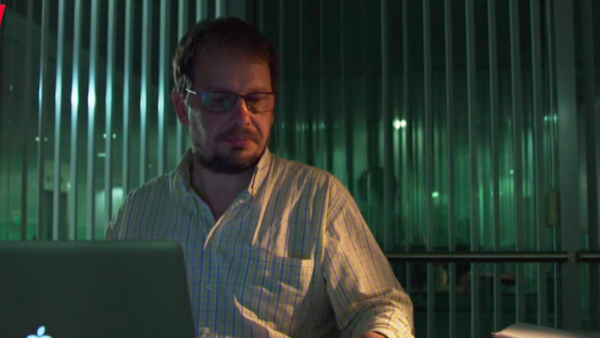 However, the American journalist Will Carroll made a different claim. In his 2005 book on drugs in American baseball, The Juice, I found the most extreme example on narrating the survey. His book opens promising with a foreword saying how important it is to get rid of myths and hearsay, because ‘the intellectual sloppiness rampant in most steroid screeds […] is in many ways far more dangerous than the steroids themselves’ (Carroll, 2005, p. X). But later, when referencing the Mirkin study in his discussion of athletes’ fanatical desire for glory, he lets us know that: ‘Astonishingly, more than 90 percent of those polled said they would take the substance’ (Carroll, 2005, p. 231). Given this background – the uncertainty of the actual design, content and results of the study, but also the lack of reliable references – it seems reasonable to suggest that Mirkin never actually performed a ‘poll’ of ‘more than hundred top runners’ – at least not in the way researchers typically use this term. Instead, his poll was more like the casual poll one might pass on to colleagues at a meeting to ascertain whether the new walls should be painted white or grey. So, a more accurate explanation is that Mirkin did in fact pose his question to the runners, but he did not do so as part of a genuine scientific survey, following basic methodological guidelines. For this reason, he only mentions the response in passing in his book, but did not describe or publish it as an independent piece of research. To the extent that ‘a survey’ was actually carried out, Mirkin perhaps informally queried the athletes he worked with as part of his profession as a sport physician without ever intending the results to be anything more serious. As he gradually collected the answers, he may have written them down or simply just relied on his memory. Later, he used this as a striking, albeit slightly misleading, introduction to his chapter on performance enhancing drugs to illustrate how dangerous a temptation doping is. Such approach is in line with the defensive attitude to doping in the 1970s, where the actual physiological effects of the drugs were often deliberately downplayed as part of an educational strategy trying to convince athletes that drugs were of no use. In keeping with this, after having presented his shocking finding in his book, Mirkin emphasises that ‘[t]he psychological dependence on drugs is the main reason they are used today’ (Mirkin & Hoffman, 1978, p. 84). ‘If I had a magic drug that was so fantastic that if you took it once you would win every competition you would enter, from the Olympic decathlon to Mr Universe, for the next five years, but it had one minor drawback – it would kill you five years after you took it – would you still take the drug?’ (Goldman et al., 1984, p. 32).To this question, also more than fifty percent – 103 athletes (52 percent) – apparently replied in the affirmative. Against this background Goldman thinks, and many has followed him, that the claim about athletes’ extreme willingness to take risks when Olympic gold is at stake is justified. However, as the Canadians Rob Beamish and Ian Ritchie rightly point out, Goldman’s question is even more absurd than Mirkin’s (Beamish & Ritchie, 2005). The premise is too fantastic and too unrealistic to be taken seriously. Over many years of intensive training, athletes know how their bodies adopt to their discipline, therefore to win ‘every competition you would enter’ is simply comic book nonsense. This absurdity in Goldman’s question may also be the reason why many scholars, when referring to the accepted wisdom of athletes’ carelessness, chose to paraphrase Mirkin’s question but combine it with Goldman’s results. That is, they rely on Mirkin’s premise to promote Goldman’s conclusion. Just for those reasons, it is highly doubtful whether the athletes would have provided the same answer if the inquirer had had the pill in his hand, and they had to swallow it on the spot if they answered ‘yes’. Goldman is actually aware that the athletes might have reacted differently if such a pill actually existed. However, immediately after mentioning this precaution, he chose to disregard his own logic and states that: ‘Perhaps this argument is correct, but the evidence suggests otherwise’ (Goldman et al., 1984, p. 32). However, Goldman does not provide any evidence. As noted above, the point here is not to deny that athletes are willing to make big sacrifices in orer to fulfil their ambitions, but simply to stress that, despite this, there are limits to how far they are willing to go. It was therefore praiseworthy when a group of doping scholars decided to re-test Goldman’s findings and said something along the lines of: ‘Okay, let’s see if we can replicate Mirkin’s and Goldman’s results, but in surveys and with questions operating under a proper methodological design’. The result was not surprising: ‘Only 2 out of 212 samples reported that they would take the Faustian bargain offered by the original Goldman dilemma’ (Connor, Woolf, & Mazanov, 2013). Connor and colleagues found this even if the question they posed was not as unrealistic as Goldman’s was – it was not ‘every competition’, but ‘only’ ‘an Olympic Gold Medal’ the respondents could win. Thus, among present day elite athletes, less than one percent would apparently be ready to take the substance. Moreover, their attitude mirrors that of the general population: When a representative sample was asked the same question, also less than one percent accepted the bargain (Connor & Mazanov, 2009). So, even if the desire to win is an essential element in elite athletes’ psychology, they are not equipped with an extraordinary psyche that makes them willing to die for a medal. However, the results from the Mirkin survey and Goldman dilemma are still repeated and used as evidence pertaining to the extraordinary athletic mind-set, as we saw in the recent government inquiry featuring Nicole Sapstead, CEO of UKAD. For three reasons this repetition is, if not deadly, then at least unhealthy for sport. First, it undermines the trustworthiness of those officials, academics and journalists forwarding the nonsense. 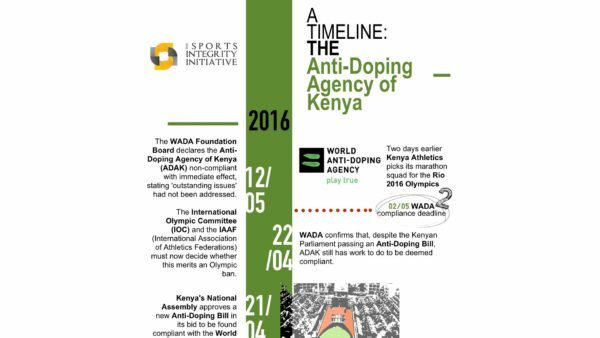 Second, on false premises it risks influencing legislation, rules, regulations and educational campaigns; for instance by introducing excessive monitoring of athletes through anti-doping, as they cannot be trusted to manage their own drug use. Third, it reproduces two other of today’s major prejudices about drugs and sport. One is that the premise of the question (‘it would kill you’), contributes to the misperception that doping drugs are deadly. The other, that the result (‘more than half…’) portrays athletes as sports idiots in the most literal sense of the word. 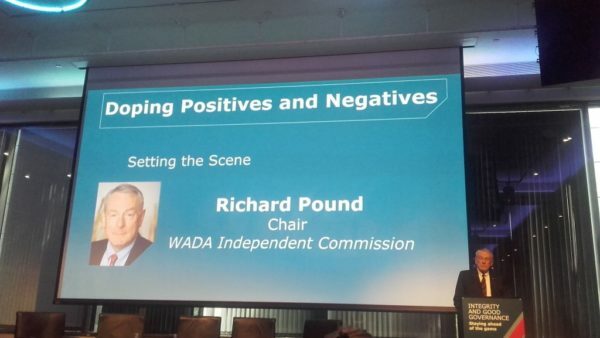 As the past decade’s revelations in sports such as athletics, cycling, and baseball have clearly demonstrated, there certainly are enough issues to tackle when it comes to the use of drugs in sport. We should focus on these instead of wasting energy battling unsubstantiated myths that draw our resources and attention in the wrong direction. Let’s get real! See more at e.g. (The Sunday Times, 2015). ‘High Risk Gamble to Obtain Winning Edge’, San Diego Union, 13 July 1982. Carroll also makes up his own formulation for the question asked. In his version of the Mirkin study, it was young athletes that were polled, and their suicidal tendencies were not only exposed if Olympic gold were at stake, but also if they could win a national championship. ‘The desire for glory is exemplified in a survey that asked young athletes if they would take a drug that would guarantee them an Olympic gold medal or national championship, even if they knew the substance would cause them to die within five years. Astonishingly, more than 90 percent of those polled said they would take the substance’ (Carroll, 2005, p. 231). As point of departure for their criticism of Goldman’s study, Beamish and Ritchie also mentions Mirkin’s survey. But even they have no reference to the source. They restrict themselves to reference Goldman. To be fair, as the point of departure for their study, Connor, Woolf and Mazanov do not really question the validity of Goldman’s survey. They accept its findings as valid, but wants to see whether the result can be reproduced 30 years later. When finding that it cannot, the authors offer a number of explanations on the observed difference. The most important being a significant difference in legality and acceptance of drugs in sport when comparing the early 1980s with the 2000s. 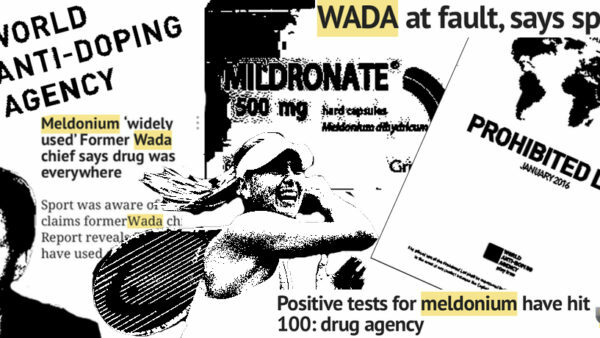 Between the two studies, WADA entered the stage and the national and international sport bodies’ position on doping and the athletes’ attitude to drugs changed dramatically. Hence, according to the authors, the difference in result is not a consequence of the design of the respective studies, as I argue, but simply reflects changing attitudes over time (Connor et al., 2013). As pointed out above, most doping drugs are medicines developed to help sick people get well. In fact, very few, if any, elite athletes have died from doping. Even the fatality of a known doper does not reliably give us causality. Millions of elite and non-elite athletes have survived years of doping. • Beamish, R., & Ritchie, I. (2005). From Fixed Capacities to Performance-Enhancement: The Paradigm Shift in Science of ‘Training’ and the Use of Performance-Enhancing Substances. Sport in History, 25(3), 412-433. • Carroll, W. (2005). The Juice: The real story of baseball’s drug problems. Chicago: Ivan R. Dee. • Christiansen, A. V., & Møller, V. (2007). Mål, medicin og moral: om eliteatleters opfattelse af sport, doping og fairplay (Ambitions, drugs and morality: On elite athletes’ attitudes to sport, doping and fair play). Odense: University Press of Southern Denmark. • Donohoe, T., & Johnson, N. (1986). Foul Play: Drug Abuse in Sports (Reprinted ed.). Oxford, New York: Basil Blackwell. • Goldman, B., Bush, P. J., & Klatz, R. (1984). Death in the locker room: Steroids & sports. London: Century Publishing. • Mirkin, G., & Hoffman, M. (1978). The Sports Medicine Book. Boston: Little, Brown and Company. • Todd, T. (1987). Anabolic steroids: The gremlins of sport. J.Sport Hist, 14(1), 87-107. • UK Culture Media and Sport Committee. (2016). Oral evidence: Blood Doping in Athletics, HC 430, Tuesday 26 January 2016. http://data.parliament.uk/writtenevidence/committeeevidence.svc/evidencedocument/culture-media-and-sport-committee/blood-doping-in-athletics/oral/28038.html. • Waddington, I. (2005). Changing patterns of drug use in British sport from the 1960s. Sport in History, 25(3), 472-496. • Waddington, I., & Smith, A. (2009). An introduction to drugs in sport: Addicted to winning? (2. ed. ed.). Abingdon: Routledge. • This text is rewritten and expanded version of a section appearing in the Danish language book by Christiansen & Møller, 2007, pp. 127-130.